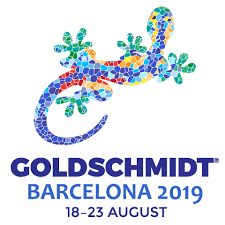 The 29th Goldschmidt Conference will take place at the Center Convencions Internacional Barcelona (CCIB) in Barcelona, Spain, from 18-23 August 2019. The 29th Goldschmidt Conference will take place at the Center Convencions Internacional Barcelona (CCIB) in Barcelona, Spain, from 18-23 August 2019. The full program of the meeting is available here. Please contact the DCO Engagement Team to add additional items to this page. The discovery in the last two decades of vast oceans of water under the icy surfaces of moons in the outer solar system has defined a new priority in space exploration. Combined, the moons Europa, Ganymede and Callisto (of Jupiter), and Titan and Enceladus (of Saturn) contain many times the liquid volume of all Earth’s oceans. Subsurface-to-surface material exchange could be occurring on all of these moons, and long-term hydrothermal interaction with a rocky core is likely in at least two (Europa and Enceladus), potentially delivering the necessary geochemical disequilibria to support microbial life. Understanding these oceans will reveal fundamental insights into aqueous geochemistry in the universe, the role of water/rock interaction in planetary evolution, and possibly the origins of life. However, their study is a unique challenge, with many fundamental questions remaining. For example, how does ocean composition evolve over geologic time? How does the composition of surface material relate to ocean composition? And what geochemical tracers of subsurface aqueous or biological processes might be transported to the surfaces? We invite contributions addressing these and other topics related to subsurface oceans on icy solar system bodies. A coordinated approach from modellers, experimentalists and planetary scientists will be required to support imminent upcoming missions, interpret existing spacecraft data, and ultimately develop a systems-level understanding of the ocean worlds. Volatile elements and their isotopes are critical for understanding the genesis and evolution of the Earth and other terrestrial planets. Volatiles influence planetary differentiation, mantle convection, magma evolution, eruption dynamics, and the development of planetary atmospheres. They also provide key tracers of other processes ranging from planetary accretion to crustal recycling in the mantles of Earth and other terrestrial planets. Erik Hauri has had a profound impact on the study of highly volatile elements (H, C, F, S, Cl) in volcanic glasses, nominally anhydrous and hydrous minerals, mantle peridotites, and melt inclusions from Earth, Moon and other planetary bodies. He revolutionized in situ analytical techniques using Secondary Ion Mass Spectrometry and has been involved on all aspect of research on volatiles. To honor Erik Hauri's career and legacy, we invite contributions from all domains of the Earth and Planetary Sciences - from experimental petrology through analytical geochemistry to numerical modelling - on highly and moderately volatile elements and their isotopes, including the noble gasses. The past 15 years has seen an explosion of the application of novel stable isotope systems to trace natural processes in geochemistry. However, quantitative interpretation of these processes relies on independent calibration of the sense and magnitude of the fractionations observed in natural geological systems, which has not kept pace. The partitioning of stable isotopes between two phases at equilibrium and at high temperatures (T) is inversely proportional to 1/T2. At constant temperature, isotopic fractionation is driven by differences in bond strength, which depends on oxidation state, electronic configuration, coordination number and ligand type. We welcome contributions that provide new constraints, be they spectroscopic, theoretical, experimental or empirical, on the partitioning of isotopes relevant to high temperature processes that occur in, or lead to the formation of the Earth’s major geochemical reservoirs; the core, mantle and crust. As the amount of Earth science data grows exponentially, so do the possible applications of advanced analytics, modeling, and visualization. The development of robust, accessible data resources coupled with new multivariate modeling and visualization techniques is pushing the frontiers of integrative Earth, planetary, and life science. Therefore, we propose a session that covers two topics: 1) Applications and results of data science in geochemistry, petrology, and mineralogy. 2) Resources for doing data science in geochemistry, petrology, and mineralogy (e.g., databases, algorithms, models, software). We welcome submission from a broad range of scientific questions and applications, from deep-time to modern processes, including Earth and/or planetary atmospheric interaction with surface materials, mineral evolution and ecology, proteomics and mineral data to constrain electron receptors for early life, co-evolution of the geosphere and biosphere, comparative planetology, origins of life, and paleobiology. Volatiles in the deep Earth (primarily H2O and CO2), strongly influence the physics and chemistry of planetary interiors; they reduce the viscosity of mantle rocks and enhance melting and chemical mass transfer. The storage and cycling of volatiles in the Earth depend on the structure and stability of specific minerals and melts at high pressure and temperature. Volatile abundances within, and fluxes between, surface and lithospheric reservoirs are somewhat constrained by geological observations. However, insight into the behaviour of volatile species (including H2O, C, N, S, halogens, and noble gases) at deeper conditions is limited to petrologic reconstruction or rare fluid/melt inclusions. In recent decades, experimental and computational advances have elucidated the chemical and physical properties of deep minerals, fluids, and melts including their volatile solubility, redox, density, viscosity, and electrical conductivity. Coupling these data with seismic and petrologic observations in large-scale geodynamic and geochemical models is an ongoing challenge but could ultimately explain volatile cycling between the surface and the deep interior. We welcome contributions from a broad range of fields related to volatile cycling from the deep Earth to the surface, including, but not limited to: 1) mineral physics and petrology of multiphase mineral assemblages and melts at extreme environments, 2) deep volatile reservoirs in the past and present (subducting slabs; the transition-zone, lower mantle, and core; the Hadean magma ocean), 3) the role of fluids, melts and volcanic degassing in returning volatiles to the surface, and 4) the effects of volatile species on seismic properties. Recent findings in experimental petrology, cosmo/geochemistry, seismology, paleo/geomagnetism, mineral physics, and geodynamics have considerably changed our views on the formation, evolution, structure, composition and dynamics of the Earth’s core and its interactions with the mantle. The aim of this broad “core” session is to bring scientists from all fields (observational, experiments, modeling) to discuss and relate these findings. In particular, contributions focussing on the composition of the core, the consequences of the core segregation and evolution on the bulk geochemical and isotopic budgets of the Earth, the thermal regime and the dynamics of the mantle will be welcome. The Earth’s lower mantle comprises more than 50% of the planet. Major geodynamic processes originate within this zone, particularly within the lowermost mantle, which acts as a thermochemical boundary between the metallic core and the silicate mantle. However, the mineralogy and geochemistry of the lower mantle are not well constrained because of the limited number of natural observations of lower-mantle minerals. The existing dataset demonstrates that the composition of the lower mantle is more complex than had been suggested in theoretic and experimental works based solely on ‘pyrolitic’ compositions. The enigmatic nature of this region requires multidisciplinary research to understand its formation and evolution since Earth’s accretion. This session aims to bring together researchers from several different specialties to address the following questions: What is the real composition of the lower mantle? What are the materials properties in this region and how do they affect dynamics? What can seismic observations tell us about the physical structure of the lowermost mantle today? How did the heterogeneities in the lower mantle form and are they dynamically stable? How does geochemistry track the chemical evolution of the lower mantle through time? Formation of new continental lithosphere in plate margin and within-plate tectonic settings, as well as rifting and destruction of old continents, are intrinsically associated with magmatic processes in both the mantle and crust of Earth. Melting of the asthenosphere, the subcontinental lithospheric mantle (SCLM), and the deep crust produces the extreme compositional diversity of our evolving continents (e.g., komatiites, flood basalts, kimberlites, alkaline/carbonatite complexes, granitoids). In addition, magmatic processes not only forge and grow continental lithosphere but also contribute to destabilization that can lead to its delamination and recycling into the convecting mantle. This session aims to bring together a diverse range of contributions that investigate magmatic processes (sources, triggers, fluxes, timescales, volatiles, redox, residues, cumulates, mixing, differentiation, metasomatism, texture development, emplacement, and more) at all scales and depth levels during the creation and lifecycle of continental lithosphere. Studies that explore cause-and-effect relationships between melt formation and continent evolution are highly encouraged. Furthermore, we invite studies that address the similarities and differences between continental lithosphere formation and recycling on the early and modern Earth (i.e., plate tectonic evolution). 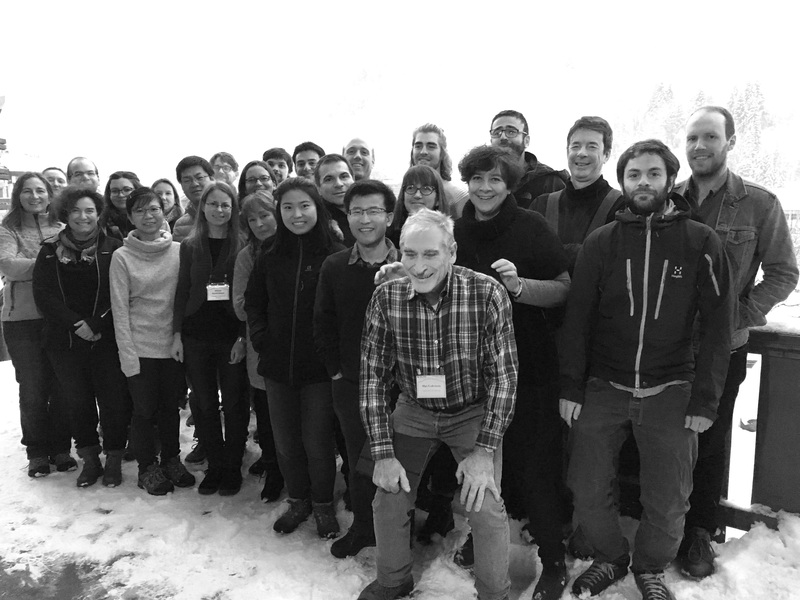 We seek in particular innovative approaches to long-standing problems concerning melt formation, migration and evolution in and around continental settings from the petrology (nature and experiment), ‘petrochronology’, numerical modeling, and non-traditional stable isotope communities. Serpentinization is a key geochemical process in Earth and Planetary Sciences. The hydration and alteration of ultramafic rocks is a widespread occurrence on Earth and is postulated to occur on other terrestrial planets and moons. The production of hydrogen, methane and other reduced carbon species, and heat during serpentinization fuels hydrothermal systems and provides metabolic energy for microbial ecosystems. The solid products of aqueous alteration, e.g. serpentinites, are natural sinks for carbon dioxide through carbonation reactions. Recycling of serpentinites in subduction zones drives geochemical cycles and affects the chemical, seismic, magnetic, and rheological properties of the oceanic lithosphere and convergent margins, and the chemistry and redox state of the mantle. This session will highlight recent discoveries of the wide range of serpentinization related processes. We invite contributions of chemical, biological or physical transformations, organic-mineral interaction, mineralogy, petrology, rheology and rock mechanics, mineral alteration mechanisms and kinetics, and volatile transfer (e.g. H2, CH4, CO2, H2O, O2, SO2). We also encourage work addressing hydrogen and methane production and consumption, carbon sequestration and microbial activity and the rates and temperature of these processes, as well as analogue studies for extraterrestrial systems. Studies of natural, experimental and numerically modeled systems at mid ocean ridges, subduction zones, or ophiolite systems and spanning Earth history (e.g. early Earth to the present day) are all welcome. The behavior of fluids within Earth’s crust provides critical insight into the chemical evolution of the subsurface, and is vital for understanding and addressing environmental and industrial applications. A number of diverse geochemical tools are used to study different crustal fluid regimes, which are often intrinsically interconnected, thus necessitating an interdisciplinary approach. Specifically, this session seeks a better understanding of 1) how fluids and gases migrate and evolve within and between crustal systems and 2) what combination of geochemical tracers can best inform us about fluid and gas interconnectivity or isolation within Earth’s crustal reservoirs. There will be an opportunity for researchers to present both applied and theoretical studies that address these key questions. 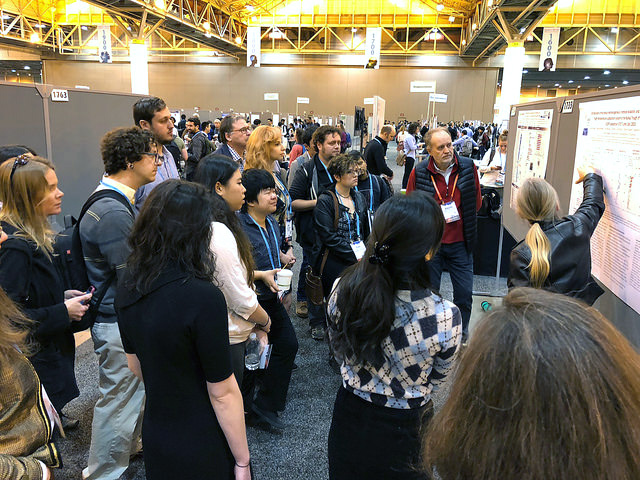 We welcome abstracts from various backgrounds, including researchers using traditional and non-traditional tracers, noble gases, stable isotopes and ion chemistry. We anticipate that this session will be of broad interest to researchers studying hydrogeology, isotope geochemistry, hydrocarbon geochemistry, carbon sequestration, nuclear waste disposal, geothermal development, oil and gas reservoir dynamics, methane hydrates, as well as methodological advancements. This will lead to a diverse session that reflects a cross-section of researchers who apply these tracers to natural crustal systems. We hope in this way to highlight the potential scientific advances available through the combination of these complementary areas of study and specific techniques, and to encourage future collaborative efforts to resolve the many outstanding questions in crustal fluid system analysis. The geological community now has multiple geophysical, isotopic and petrological tools to image the 3D architecture of the subcontinental lithospheric mantle (SCLM) and infer its evolution at a range of scales. We seek contributions from all disciplines addressing (1) the origins and geodynamic settings of SCLM formation through time; (2) secular variations in the chemical composition and physical state of the SCLM (geothermal gradients, density, viscosity); (3) the geochemistry and petrology of continental mantle-derived magmas and their mantle xenoliths; (4) diamonds, their mineral and fluid inclusions as well as their host rocks as keys to understand early craton development, craton growth and stabilisation processes, and tectonothermal events that modify or destroy cratonic lithospheric mantle; (5) the role of continental lithosphere as a metal source and of lithospheric architecture in the concentration, mobilisation and extraction of metal-bearing fluids and melts that facilitate the formation of magmatic and hydrothermal mineral deposits. Energy exchange and the rate at which it occurs dictate reaction dynamics, and consequently reaction outcomes, at all spatial and temporal scales within Earth’s hydrosphere, biosphere, atmosphere and geosphere. In recent years, developments in instrumentation as well as techniques to measure, compute or quantitatively model energy exchange in Earth’s systems have seen energetics and energy dynamics being increasingly used (alone or in-tandem with other techniques) to describe material properties, processes/reaction mechanism, system dynamics and system function within environments of interests to Earth Scientists. We invite experiment and/or computation-based presentations that cover advances in instrumentation, novel stand-alone or integrative methodologies, unique data analysis approaches and applications of energetics to understanding the fundamentals of biotic or abiotic reactions and processes at the nano- to the landscape-scale. 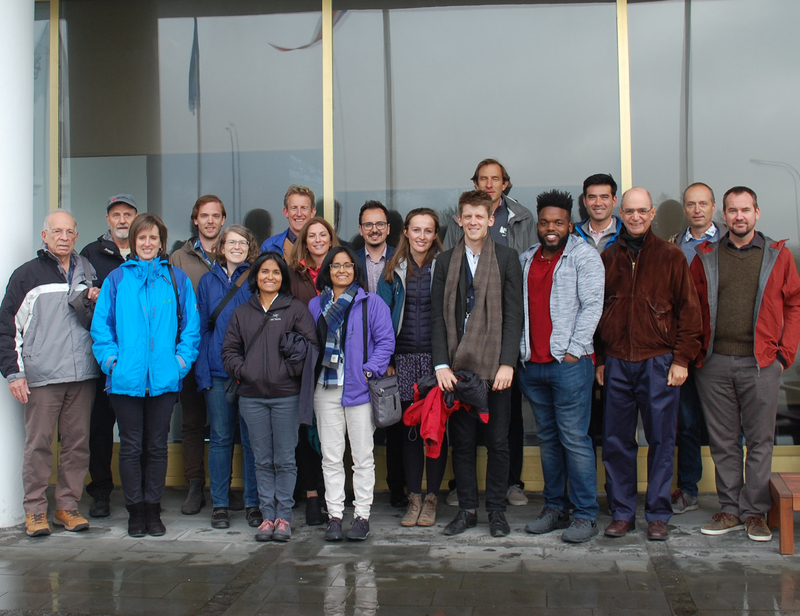 We are particularly interested in research in Earth’s critical zone with possible focus areas including (but not limited to) energetics in sorption/desorption, precipitation/dissolution, redox and photo- reactions; and contributions in understanding to nutrient/contaminant fate, biogeochemical cycles, weathering reactions, origin and maintenance of life, etc. Complex dates and geological histories, even planet-scale events are preserved in natural materials. With the availability of new analytical techniques that can study materials on smaller and smaller scales, new observations can be made on the structural and chemical complexities in these materials. In particular, observing variations in trace element chemistry and zonation, deformation due to tectonic or impact events and alteration in terrestrial and extraterrestrial materials, to name a few. The recent developments in submicron-to nano-resolution analytical techniques (e.g. Atom Probe Tomography, Transmission Electron Microscopy, Transmission Kikuchi Diffraction, Electron Backscatter Diffraction, NanoSIMS etc.) allow researchers to resolve complex variations on new scale lengths. This session aims to bring together researchers focusing on the development and integration of micro-to nanoscale analytical techniques to terrestrial and extraterrestrial materials. We welcome a broad range of contributions that serve to highlight the current state-of-the art in material analysis and innovative application at the micro-to nanoscale. This session also aims to raise questions on the dating of minerals: what is the best analytical “volume” for in situ dating, what benefits does in situ nanoscale characterization have, compared to micrometric or bulk methods? This session will provide a forum to present studies, applied and theoretical, involving noble and trace gases in applications relating to the developing GeoEnergy field as well as groundwater, hydrocarbon and non-hydrocarbon based studies. We will encourage abstracts to be submitted on a wide range of topics involving noble and trace gases, including but not limited to studies of groundwater systems, carbon sequestration, geothermal, oil and natural gas reservoirs, methane hydrates, ocean systems, as well as methodological advancements. We aim to convene a diverse session that reflects the cross-section of researchers who apply these tracers to natural systems. Magmatic volatiles play a key role in magma generation, ascent, and eruption. Volcanic gas emissions impact on the composition of the atmosphere, ocean and land surface, and cause a range of far-reaching environmental hazards. Understanding the source of volatiles, how and where they are stored, what controls their release from magma, and their potential capability for controlling eruptive dynamics requires an integrated approach involving field, analytical, experimental and theoretical studies. This session invites contributions on diverse aspects of volatile behaviour in volcanic systems, including solubility, degassing, melt partitioning, magmatic-hydrothermal interactions, geothermal reservoir evolution, timescales, and their link with geophysical datasets. The primary focus will be in capturing the diversity of processes in shallow magma systems that can be illuminated using a range of volatile species. Contributions for constraining the syn-eruptive volatile contents of magmatic melt in non-accessible submarine volcanic eruptions will help to understand their potential intensities and styles. Implications for volatile cycling and the deep Earth are also relevant. The dynamic nature of volcanic behavior challenges both science and society. Geochemical monitoring of volcanoes has the potential to yield fundamental insights into volcanic processes and eruption triggering. The emergence of new technologies is constantly improving our ability to forecast volcanic eruptions and providing datasets that challenge current models of volcanic processes. Remote measurements, real-time data from permanent stations, the use of drones, and high-frequency isotopic measurements are but a few of the recent developments in the field. Key science drivers are deciphering the processes that trigger volcanic eruptions, being able to forecast the size and duration of impending eruptions, understanding the relative roles of hydrothermal systems and magmatic processes at reactivating volcanoes, the factors leading to failed eruptions, understanding complex volcanic plumbing systems, and constraining fluid sources and timescales of fluid migration. This session aims to integrate state-of the-art, multi-disciplinary observations that help detect the subtlest signals unrest. We invite discussion on how we move from observations on active volcanoes to improved understanding of the volcanic processes leading to unrest, eruptions and hazards. While the mystery of life’s origination on Earth remains, substantial efforts focus on seeking extraterrestrial life on other planets in our Solar System and beyond. This session focuses on the emergence and early evolution of life on the primitive Earth, as well the global biogeochemical mechanisms that have sustained life over Earth's history, and which may potentially operate on other small rocky planets. We welcome contributions on deciphering mechanisms to form the first cellular life under early geological conditions: e.g. abiotic synthesis or space delivery of biomolecules, stability of biomolecules in the primitive environments, concentration and polymerization of biomolecules through mineral adsorption or wet-dry cycle, selection of chirality, assembly of bio-functional groups like enzymes, and development of bio-membrane and other cellular structures. We also welcome contributions that explore surface chemistry and habitability on Earth and other planets through the lens of stellar evolution, photochemistry, planetary interior composition and evolution, as well as those that explore novel climate states and atmospheric compositions of small planets, including waterworlds. Glaciers and ice sheets, as major drivers of weathering and erosion, are important features within the critical zone. As the size, distribution, and melt patterns associated with glaciers continue to change, so too will their impacts to downstream ecosystems. Habitats beneath and downstream of glaciers will contend with hydrologic changes leading to altered nutrient and sediment regimes. The microorganisms that catalyze the transformation of elements within glacial habitats and downstream environments will respond to these changes in unknown ways. This session seeks to synthesize knowledge on the impacts of changing hydrology and sediment transport on the biogeochemistry of glaciated systems, the microbial life in those systems, and the downstream consequences of change. We invite abstracts that address biogeochemical linkages within or among components of glaciated systems, or how microbial or biogeochemical processes are affected by changes in glacier movement, hydrology, or extent. Habitats downstream of glaciers are numerous, so we encourage abstracts from studies conducted in fjords, terrestrial glacial forefields, proglacial lakes, supraglacial, and subglacial habitats. The session aims to contextualize how glacial changes will regulate future biogeochemical processes. Seafloor hydrothermal systems profoundly influence the chemistry, biology, and oxidation state of Earth’s lithosphere-hydrosphere-atmosphere system, generate important seafloor mineral resources, and host unique biological ecosystems. A complex array of chemical, physical, and biological processes ultimately generates diversity in fluid composition and hence the delivery of elements and dissolved gases to the seafloor in these systems. Thus, the study of seafloor hydrothermal processes generally requires interdisciplinary efforts that integrate studies of modern seafloor measurements, extrapolations of the geologic record, laboratory experiments, and numerical models. 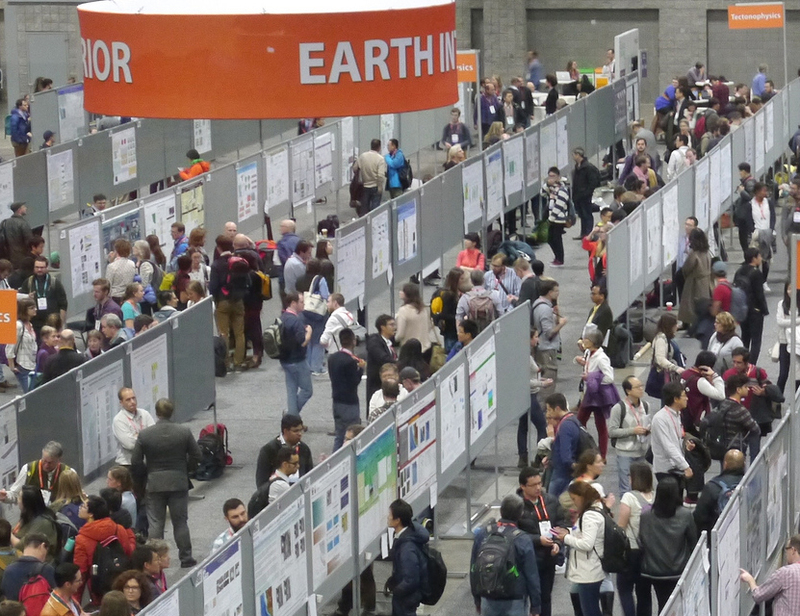 In this session, we intend to host a forum for presenting and integrating these efforts in order to focus the community’s attention on answering key questions regarding magmatic and tectonic controls on submarine hydrothermal fluid chemistry, elemental fluxes from hydrothermal systems, the accumulation of metal-rich deposits on the seafloor, and the habitability of such systems by a microbial deep biosphere. In particular, we invite contributions focusing on the interpretation of seafloor measurements of modern hydrothermal systems; studies of recovered oceanic drill core, obducted oceanic lithosphere, or proxy records in ancient rocks; experimental exploration of seafloor (bio)geochemical interactions; and integrative numerical models that expand the spatiotemporal scales of these field and experimental observations. Specific focuses could include the interplay between magmatic and tectonic controls and the temperature and pressure conditions of hydrothermal reactions; the role of alteration processes in the geologic cycle of C, Fe, P, and other important elements; the accumulation of metal-rich deposits on the seafloor; the contribution of submarine hydrothermal system to seawater geochemistry through Earth history; and the ability of hydrothermal systems to support a microbial deep biosphere.